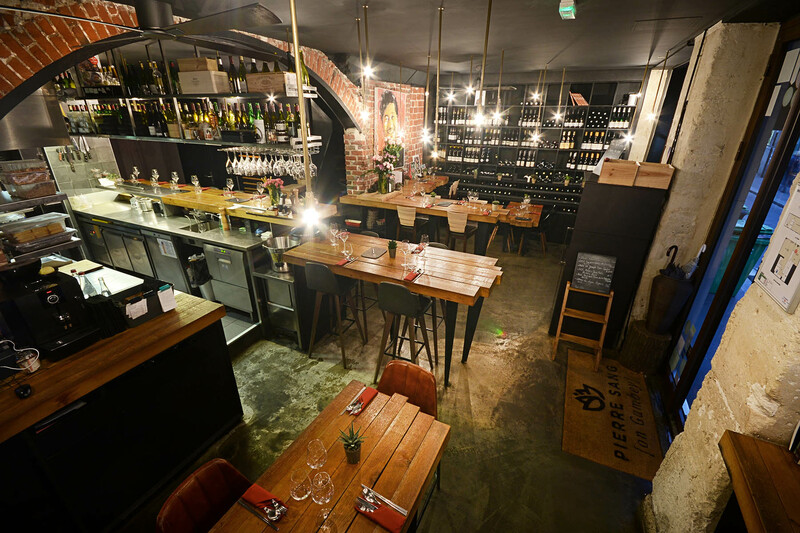 Two years after « Pierre Sang in Oberkampf », Chef Pierre Sang opened his second restaurant « Pierre Sang on Gambey » only a few steps away. 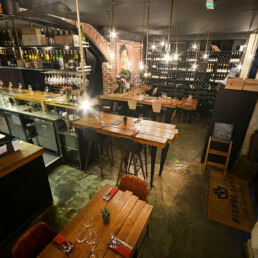 With intimate, chic and calm decor, high wooden tables and warm ambience, customers will be struck by the friendliness and the love of sharing that characterizes Pierre Sang so well. The open kitchen welcomes everyone to witness the dishes simmering and sizzling in the kitchen. The wine is ready to meet your utmost expectations. 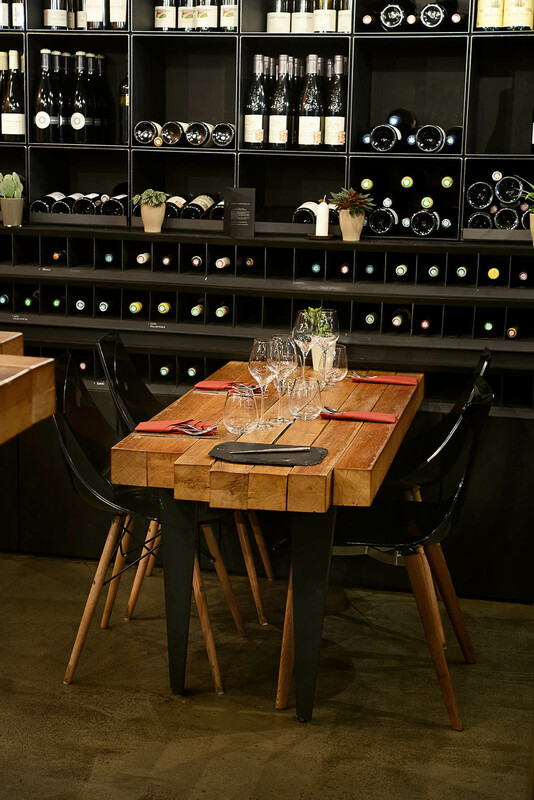 From grand cru wines to more modest appellations and excellent natural and organic wines, the wine list is full of treasures for both casual wine novices to serious wine advocates. dinner between collegues and clients. This table take you on a journey to the heart of chef’s roots. 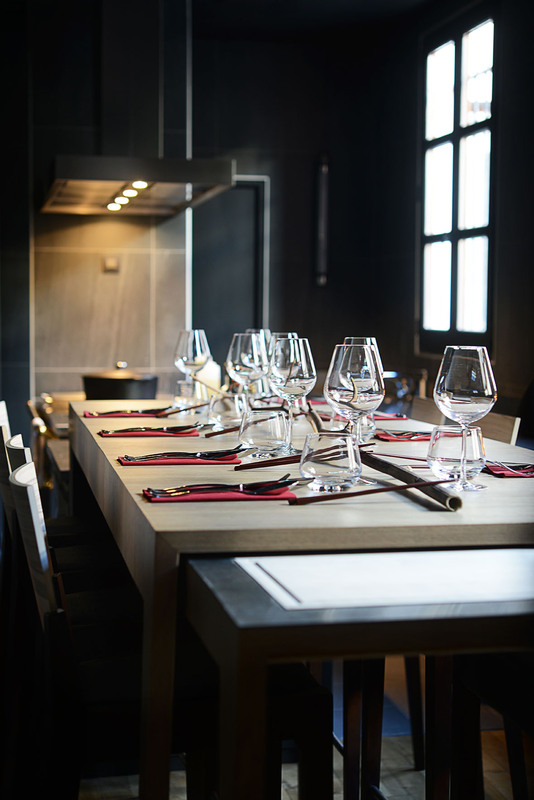 It offers an explosive gastronomic experience of French-Korean flavors, proposing the cultural diversity and harmony of Pierre Sang and the soul of his cuisine. 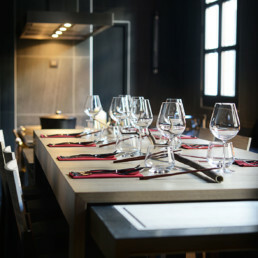 The table can accommodate between 6 and 10 people for an 8 course of Pierre Sang’s signature dishes for 88 €. * Our staff will ask if you have any food restrictions, allergies or food habits and the Chefs will then adapt the menu accordingly. Be aware that for severe allergies it may subsist potential traces of. For a more intimate dinner, a secret room opens its doors to you in the greatest discretion. 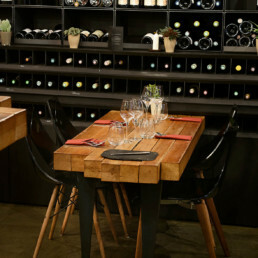 Here a large wooden table welcomes between 6 to 10 people for a most gastronomic dinner. Gastronomic menu in 8 courses at 88 euros. A deposit will be required for all bookings from 8 people upwards. We offer two services at 7pm (table must be cleared by 9.30pm the latest) and 9.45pm.